Capacities from 110 to 550 pounds. 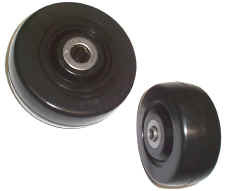 Wheels available with other size bearings and other types of bearings. Please inquire. N/A denotes Not Available. Pricing updated 7/7/10.